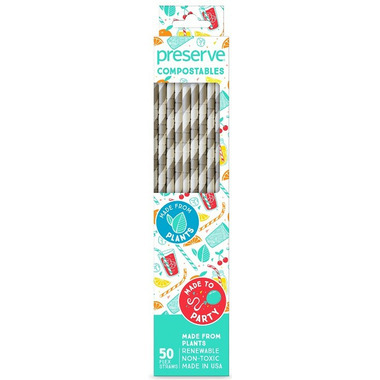 Preserve Compostables Straws are made from plants and return to the soil when the party is over. These paper straws are non-toxic and manufactured in the USA from renewable resources. For some gatherings single-use products make sense, and Preserve is excited to offer single-use products that are made from renewable resources and are lighter on the earth. Warning: Choking hazard. Not for children under 3 years of age.